Your dog is special - the way he looks, listens, reacts and moves. He's a lot different to the dog next door, even different to the other puppies in his litter. This also applies to his nutritional requirements. Factors such as breed, gender, age, hereditary predisposition, activity, physiological state, living conditions etc. determine the individual requirements of your dog. Where one dog can do well on a food, another may have deficiencies in his diet. That doesn't make it easy to find the best food for your dog. Vitality, skin and coat condition are good indicators of a dog's general condition. When the food is not properly absorbed, this will become noticeable though the various physical complaints that develop. Sometimes this happens quickly, but it can also take years for the problems to become visible to the owner. Then the path to recovery can be long and hard. 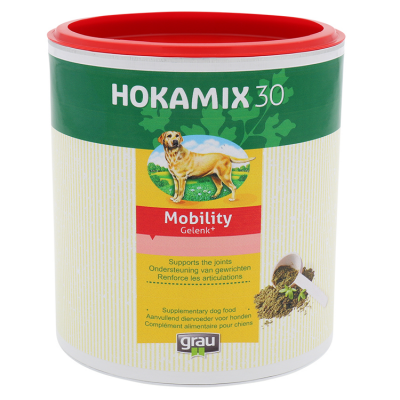 Adding Hokamix to a good food each day will optimise the nutrient requirements of your dog. You will keep your dog in top condition and that will prevent physical complaints from developing. Where problems already exist, they often decrease or disappear after restoring balance in the body. Hokamix has a deep, threefold function namely: it cleanses the body from inside, improves absorption of nutrients and supplements deficiencies. A disturbed balance in the body doesn’t originate overnight so restoring the balance takes time. With a little patience, dog owners have achieved astonishing results with Hokamix even with older dogs! Meanwhile Hokamix is also an effective remedy for itching, scurf, bald spots, eczema, dull coat, excessive moulting, allergy, wear and tear of joints, painful motion, metabolism complaints and lots more. But without doubt prevention is better than cure! Hokamix is a natural product. The original recipe is a powder of thirty specially chosen herbs, carefully proportioned. Herbs are a natural source of vitamins, minerals and trace elements. The beneficial effect of many herbs has been known for a long time, not only by humans, but also by animals. Many animals in the wild have herbs on their menu, even species that are known to be carnivores, like the wolf. By instinct they know which herbs are necessary to become or stay healthy. Besides the original powder form, Hokamix is also available as a tablet or a snack, especially suitable for dogs that are picky eaters, or just because you want to give them a treat. 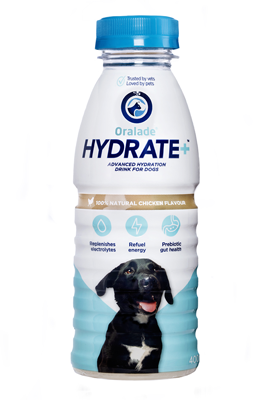 For dogs with severe, persistent complaints there are two products. 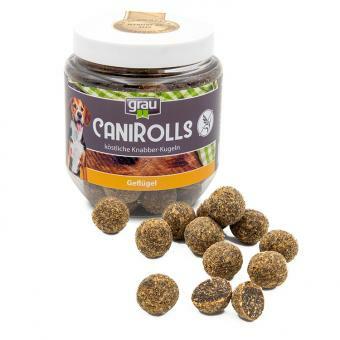 As well as the original herbs they contain extra ingredients especially for joints, or skin and coat. Hokamix is based on the positive influence several (parts of) plants have on the body. - stimulate various organs and tissues, making them function more efficiently. Digestion and metabolism make sure that all organs in the body can function to their optimum. Digestion of food starts after ingestion of a meal. The mechanical movements of the stomach and intestines and digestive juices make the food absorbable. Then metabolism will be set in motion. Which can be described as the transport, absorption and combustion of nutrients and the discharge of waste products. When digestion and metabolism are not working right, organs will not be properly nourished and waste products not thoroughly discharged. This can cause complaints everywhere in or on the body. Often it will reveal itself in the skin. This biggest organ is actually the last one to be supplied. Switching food or making current food easy digestible (by soaking it) may give some improvement. But possible contaminations in the body will be handled completely if Hokamix is added to a good quality food. The herbs have a cleansing effect as a result the body will be detoxificated. Herbs often act as catalysts. This means they connect to important, often crucial nutrients. Otherwise some nutrients would not be (fit to be) absorbed and leave the body. When there still are deficiencies, Hokamix contains vitamins, minerals and trace elements to replenish them. Optimal functioning of the liver and kidneys means they are better able to discharge waste products from the body. In this way the body recovers itself from the inside. The body can function to an optimum and regain its balance. - improve absorption of nutrients and replenish deficiencies. Contents include amine and amino acids, vitamin A/B/C/D/E/K, saponins, silicic acid, coumestrol, many fatty acids. It enhances appetite and digestion. Silicic acid favours regenerative wound processes of skin and mucous membranes, has in general a positive effect on affections of connective tissue. This silicic acid is essential for active bone formation, strength and elasticity of cartilage. Contents include capsaicin, vitamin A/C, etheric oil. Stimulates the cardiovascular system and enhances digestion. Contents include salycic acid, saponins, alkaloids, flavonoids (rutin). Salycic acid and rutin have a positive effect in case of joint inflammation and skin disorders such as eczema, psoriasis and acne. Viola tricolor is also mildly laxative. Contents include saponins, flavonoids, etheric oil, inulin, rutin. Flavonoids enhance gall-bladder secretion and are mildly laxative, in this way stimulating digestion. Contents include urushiol/ureshenol, toxicodendric acid, flavonoids. 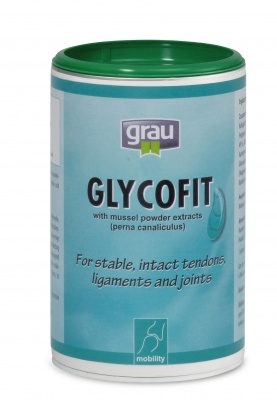 Has a positive effect in case of tendinitis, arthritis, lameness, HD and skin disorders such as eczema. Contents include acetylcholine, choline, histamine, mucilage, tannins, silicic acid, and is a rich source of minerals like iron and calcium. Is used to enhance digestion, in case of osteoporosis and cartilage wear, eczema, extreme moulting and allergy. Contents include vitamin A/B/C, alliin. Enhances motility in stomach and intestines, and digestion. Most effective against bacteria, worms, mycosis, lice, ticks. Reduces cholesterol blood level. 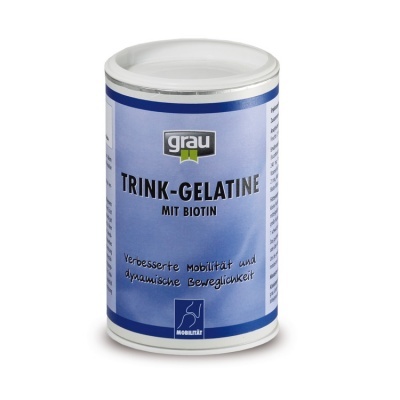 Contents include mucilage, saponins, allantoin, silicic acid, minerals. The presence of silicic acid and allantoin makes it an important herb for cartilage and bone tissue. Contents include etheric oil, flavonoids, rosmarinic acid. Rosmarinic acid stimulates liver, gall-bladder and smooth muscles of the intestines. Rosemary has the reputation to have a positive influence on blood, eyes, hair and memory. Contents include glycosids, flavonoids, etheric oil, tannins, choline, rutin. Has an antibacterial action. Rutin is anti-inflammatory and spasmolytic (abolishes spasms in the gut). Contents include allantoin, mucilage, steroidal saponins, vitamin A/B, silicic acid. Cell division and growth of connective tissue, bone and cartilage is positively influenced by allantoin. That is the reason why Comfrey is often used in case of Hip Dysplasia (HD), injured periosteum and torn joint ligaments. Contents include kaemferol, quercetin, salycic acid, ascorbic acid, triterpenes. It fortifies the muscles and increases tonus (or tension) of tissues. Kaemferol, quercetin and salycic acid reduce inflammation. Every dog owner wants what is best for his dog and is therefore critical. So naturally questions are asked about our products. Beneath a selection of those questions. Yes. A complete food is a good start. Still it often turns out to be insufficient. 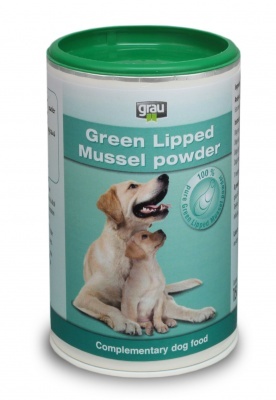 Deficiencies ultimately have their effect on skin, coat and vitality of your dog. But it may take a long time before it will become clearly visible. 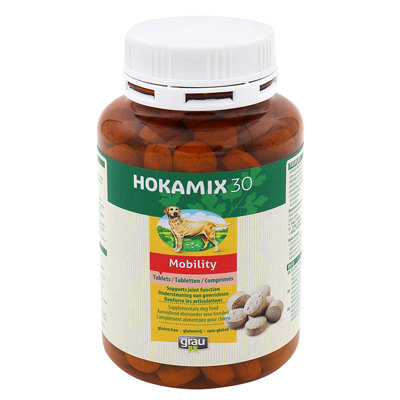 By supplementing Hokamix Skin, Coat, Vitality, you match the food to an optimum with your dog’s requirements. Nutrients will be better absorbed and deficiencies replenished. Many occurring ailments related to food can be relieved or - even better! - prevented. Won't a different food meet the nutritional requirements? Of course you may try another food. Often existing complaints will diminish more or less. The concentration of ingredients is after all different (e.g. less protein). Still the question remains whether or not other food will provide completely in the dog's requirements. When this is not the case, after some time problems will return. With a good base food (even super premium) supplemented with Hokamix Skin, Coat, Vitality you can be sure that the food is accurately adapted to your dogs requirements. In which physical complaints can I use Hokamix? Throughout the years Hokamix products have been used successfully for numerous problems. A few examples for wich are: itch, eczema, scaling, dull coat, thin coat, extreme moulting, bald spots, smelly coat, low vitality, allergy, weak ligaments and tendons, joint wear (artrose), joint inflammation (arthritis), HD/ED, bone decalcification (osteoporosis) etc. 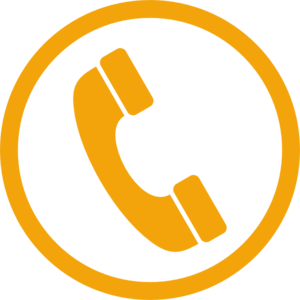 In the section Advice you will find more information about complaints and the most suitable products. That would be fantastic, but Hokamix is no miracle cure. In several disorders (e.g. itching) it is advisable to first visit your vet to eliminate causes like parasites (fleas, mite, etc). Some dog owners are convinced that Hokamix naturally averts parasites, since they experience less problems with parasites while using Hokamix. Nevertheless if parasites exist other means are needed, because Hokamix can't kill parasites. In this or other discomforts and disorders a medicine or medical intervention is simply necessary. But often Hokamix can be used to contribute to strong and faster recovery. Can Hokamix be used at the same time with medicines? Yes, in general it can. Hokamix products have no influence on the action of medication. Used alongside medication which mainly counteracts symptoms, Hokamix can contribute to a fast recovery. And when the problem is food related, Hokamix can prevent the disorder returning. Certain caution should be considered in disorders related to function of organs, for example a kidney disorder. How long will it take before results become visible? Hokamix is a natural remedy with a thorough action. It doesn’t only deal with the symptoms like many medicines do, but the cause that lies beneath. Hokamix cleanses the body, improves digestion and metabolism and replenishes deficiencies. The body needs some time to get balance restored. That it is not so strange, given the fact that the complaints probably also didn't begin from one day to the other. Usually it takes about 6 weeks before results become visible. We are proud to say that many pet owners let us know that the results were certainly worth their trouble and patience! Is there a risk at negative side effects? No. Hokamix can temporarily give looser stools or more moulting. This is nothing to worry about. It just means that Hokamix is doing his job and all waste products present are discharged from the body. For the rest no side effects are known. There are dogs who do not tolerate certain nutrients. In all the years Hokamix has been on the market, it rarely occurred that a dog did not tolerate Hokamix. How will I know if my dog will like it? Hokamix in powder form only contains herbs, no chemical flavours, colorants and flavouring agents. Most dogs find powder on top of their meal no problem. We always advise to soak dry kibbles and let it cool off (till 35°C or less) before mixing the powder. The powder can also be mixed with buttermilk or yoghurt. There are dogs which are extra choosy. For them Hokamix in tablet or Snack form is particularly suitable. If your dog is a picky eater, try a small pack first. Is there any risk of overdosage? No. Most nutrients which are not absorbed, will leave the body directly in a natural route. This is one of the benefits of a natural product in comparison with a synthetic preparation. Hokamix contains some nutrients, like fat soluble vitamins, which can be stored (e.g. in the liver or fat tissue) when they are not utilized directly. But the quantities in Hokamix are so close to the recommended requirements that this will give no risks. At what age can I start to give my puppy Hokamix? Hokamix can be given from three weeks of age. For best effect you can give Hokamix from weaning age. 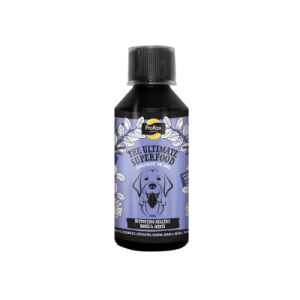 In puppies Hokamix supports optimal growth and promotes a beautiful coat.